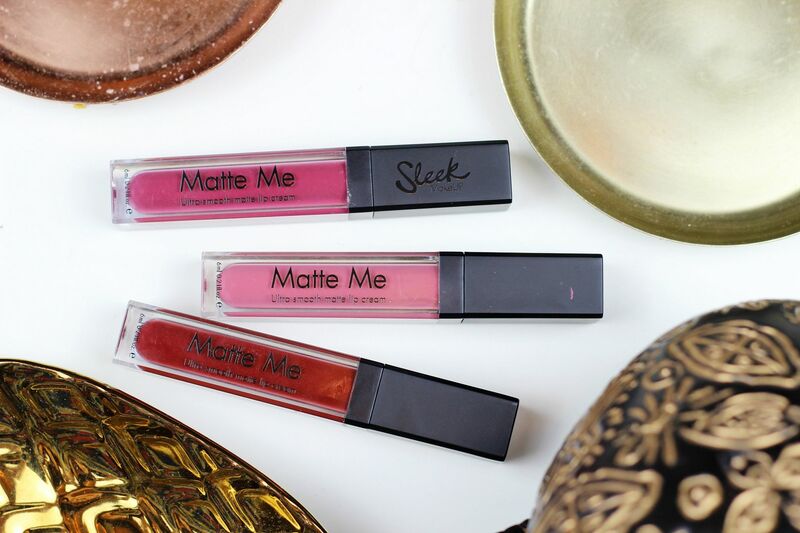 I’m going to have sound the makeup klaxon with these, because the Sleek Matte Me lip paints come in new gorgeous shades and the brush has been improved upon so application is a synch. You need these. Ok, alarm is on. If that wasn’t enough… You get change from a fiver! A quick note on the formula – it’s not miles apart from the Anastasia Beverly hills formula in that you can feel these on the lips and they will fill dry. Mmhmm, they most definitely will. 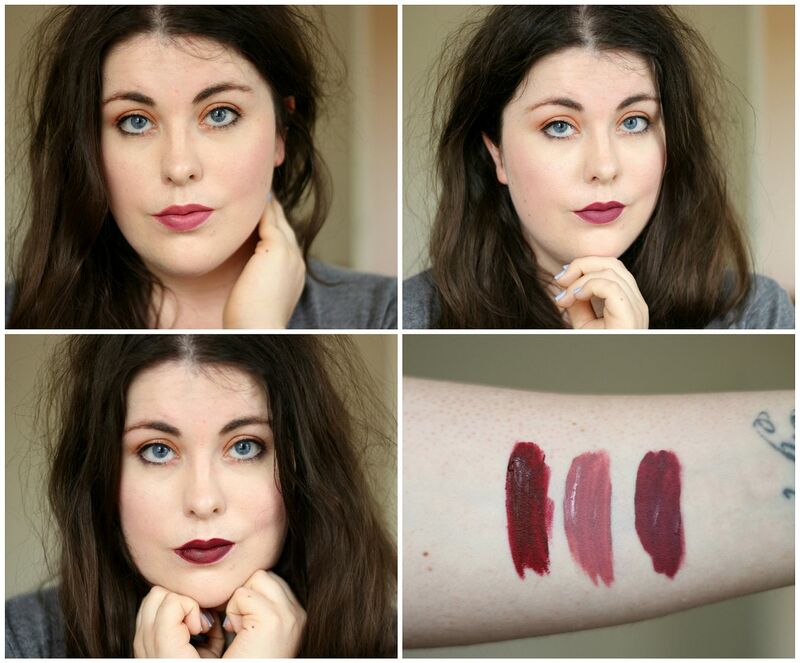 Don’t swatch all three in an hour or your lips might fall off. I find using a good balm before (I like Burt’s Bees) and then applying one thin coat gives the best application and keeps things comfortable. With this formula, I would need to use lip balm by lunch time and then reapply. The good thing about the new shades is that the brush has been made a bit smaller, and it seems so much easier to use. You can essentially turn the brush on its head and use it to really precisely draw the edges. I never bother with lip liner with liquid lips because my lips might crack into a million pieces if I did. In the photo above, from clockwise wearing Shabby Chic, Velvet Slipper and Old Hollywood. The swatches are (from left to right) Old Hollywood, Shabby Chic and Velvet Slipper. Have let them dry in the swatches as well, so they were on my lips for about twenty minutes each and swatched on my arm for 30 mins. 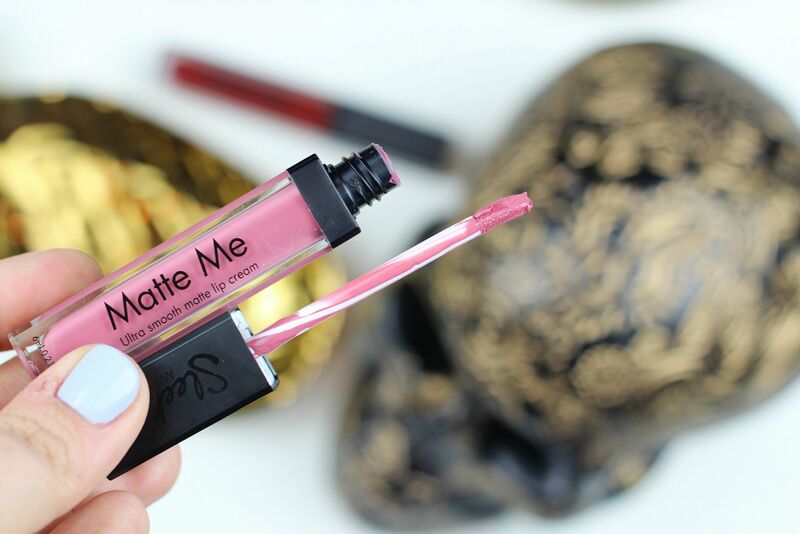 Are matte lips your thing?